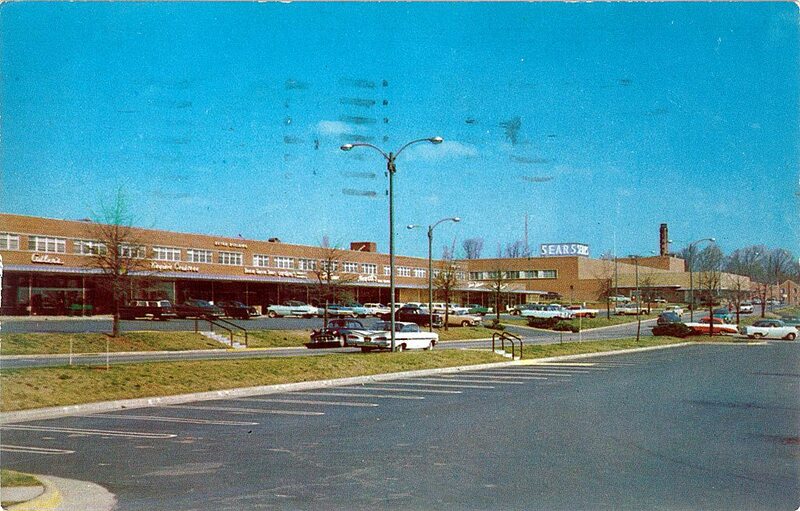 #TBT: A view of the Cameron Village shopping center from the west side of Daniels Street, circa late 1950’s. Cameron Village, Raleigh’s first shopping center, was developed by J. Willie York. It was named for the former plantation grounds on which the project was constructed. It opened in 1949 with three stores and one restaurant. It was the first shopping center between Washington, D.C., and Atlanta.